Before I begin, I would like to declare Melodic Death Metal to be officially dead. This genre of music is what has throttled me through the past 8 or 9 years of my life. It’s biggest replacement is a subgenre known as metalcore, which features far too much whining for my liking. I am not sad, since we saw the end coming. As music has changed, so have I — but the departure of melodeath has left us all in search of something new. A shocker, no doubt. Is this musically the best album of the year? No. But it is my best album. In a year where I moved to the foreign world of Los Angeles, Nikki Sixx connected with me in an unexpected way. This city can eat you alive, and it’s good to know that you’re not the only one. 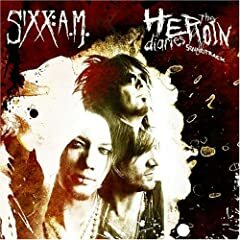 When I hear about Nikki Sixx, Sixx: AM, or Motley Crüe, it will bring me back to this album, the album I somehow identified with in 2007. Because I now know why nobody wants to die in Van Nuys. A companion for the incredible Heroin Diaries book. Wow. Death metal – out. Whatever this is – in. 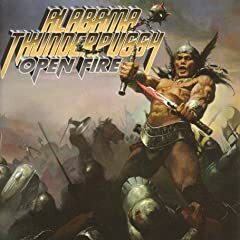 A bone-crushing mixture of balls-out hard rock, stoner metal, punk, and southern edge, Open Fire was probably played during 20% of my workouts this year. One listen to Words of the Dying Man and I was hooked for the year. If you are not an intense person, stay away. This is, without a doubt, the most beautiful album of 2007. Filled with acoustic guitars, cello, and pianos, the melancholy tone of this album is a stark but necessary contrast from the two albums mentioned above. Such intricately sad music, I find it hard to believe that a man composed it. I will be truly depressed if Steven Wilson and Aviv Geffen do not get together for a Blackfield III. These guys are the best project team in the business right now. I have nothing further to say that I haven’t already written in the reviews above. Upon the release of Clutch’s latest album, Stoner-metal fans simultaneously rejoiced and cursed. Every Clutch album is remarkably distinct from its peers, and this one is no different. The bluesy feel of From Beale Street to Oblivion put Clutch into an entirely different musical world, and they do it in studly fashion. Doctor or lawyer, I’ll never be. Life of a drifter – the only life for me, You can have your riches, all the gold you saved. Cause’ ain’t room for one thing in everybody’s grave. 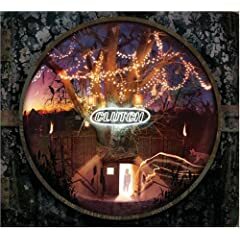 Now here’s a scary thought: At the end of the day, this is one of Clutch’s worst albums. While incredible, the riffs get tired over time, and some tracks wear on me. I never gave these power metallers much of a chance, and I’m not sure why. This album came late in the year, but it rips fast and hard. I haven’t heard a power metal album like this for quite some time, and now have the pleasure of going back in time and discovering what I’ve been missing out on. 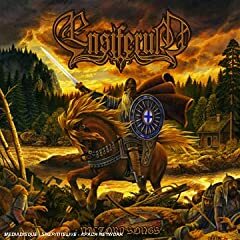 Peter Lindroos from Norther teams up with Markus Toivonen and Sami Hinkka to put out the first Ensiferum album sans Jari Mäenpää. Victory Songs features a style of music known as viking / folk metal, which means that you’ll be dealing with very fast music and braveheart-style war chants with swords clashing in the background. Just look at that album cover to the left! It sounds lame, but it seriously rocks. I enjoy listening to this music while drilling sniper bullets into scores of Nazis in my favorite online video game. A phenomenal musical album to an exquisite motion picture rendition of one of my favorite books . Eddie Vetter bares his soul and gives justice to a difficult subject. I’m sorry Pearl Jam fans, but the band is long dead. The future is with Eddie Vetter going solo. And at the end of the day, I still cannot decide whether I love or hate Chris McCandless. Perhaps that’s what draws me to him, but that’s for another blog post. For anyone else, getting two top 10 albums in the same year would be a shock. For Steven Wilson, it’s simply expected. This album touches upon the isolation and disillusionment that technology brings to our lives, from TV to X-Box to prescription drugs. While deep and dark, I find myself getting lost somewhere between tracks 2 and 4, and by the time the album is done, I end up wondering where the last hour of my life has just disappeared to. A true progressive gem. I’ll put it simply – no album has ever given me nightmares. Until this one. Ministry’s final album (this is their 11th) is one of my favorites. Their viewpoints of anti-establishment ring true in a year where we’ve been overrun by crooks and liars. Industrial metal will never be the same without Ministry, whose raw chaos will often be imitated, but never at all duplicated. Retro rock? Stoner jams? I have no clue what to call this music, but when I listen to it, I end up feeling like I’m listening to music that was created before I was even born. It’s technical, it’s psychedelic, and it’s a feel-good album from back in time. Souvenirs d’un autre Monde is an atmospheric, drudgy album that will compete with Agalloch (see last year’s review) for music time when I enter the Contemplation Chamber1. I have a feeling that over time, it will get more listens than most albums on this list. Mentally crushing and overwhelming music. This is the type of album that creates a doom-and-gloom atmosphere yet makes you invincible from it. Violins and cellos mixed in with metal? I’m a fan. Some of the music is delightfully haunting, but there’s a few tracks that throw off the momentum of the album. That momentum is never regained. Yet another anti-establishment album. Megadeth is back with solid riffs, raw delivery, and solid production. Mustaine pulls no punches and I should be a bigger Megadeth fan that I am. There are many albums that could have taken this spot, but Nightrage gets in because it was great workout music all year long. It’d have finished stronger if they’d quit it with the intermittent whining. Worst Album of the Year – Devin Townsend – Ziltoid the Omniscient. It’s over for Devin, he’s officially lost it after so many years of teetering on the brink. Posted in Music Reviews by Berto. 2 Responses to "My Top 15 Albums of 2007"
I haven’t heard Devin’s new one but I’m going to concur with you anyways. He, too, has been overextending himself. His stuff doesn’t have pulp anymore. 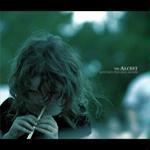 It’s music that’s eccentric just for the sake of being eccentric. Lame. 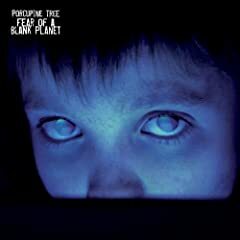 Porcupine Tree has unfortunately fallen off my radar. I need to catch up. A guy in one of my classes last semester said Black Planet is totally legit – and recorded in Dolby 5.1. Wilson knows what he’s doing! Please note: I’ve not mentioned Beale Street… Doing so will only fan the flames. 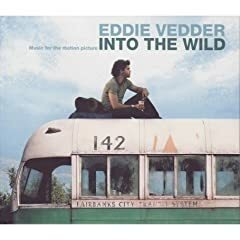 I haven’t heard about Vedder’s release. Will be looking into this one for sure. And hey, if you liked ATP’s newest one, check out Sasquatch. Their sound’s got a bit more groove to it, but still… crunchy guitars and mammoth-sounding drums. Good stuff. Anyways, that’s just my two cents. Keep me up on what you’re jamming with.